The mass of a substance describes how much material is present and the volume of a substance tells how much space the substance occupies. Both of these measurements are dependent on the amount of material. However, the relationship between mass and volume is constant for a substance at a given temperature and pressure. This relationship between the mass and the volume of a substance is given as density. While changing the amount of substance alters mass and volume, the density of the material remains the same and is a physical property of the substance. Mass measures how much material is present in a substance. The mass of a substance is often given in grams (SI) or pounds (English). Scales are often employed to determine the mass of a substance since weight is a function of mass and gravity. Since gravity is very nearly the same over the surface of the Earth, weight becomes a good indicator of mass. Increasing and decreasing the amount of material measured increases and decreases the mass of the substance. Volume describes how much space a substance occupies and is given in liters (SI) or gallons (English). The volume of a substance is determined by how much material is present and how closely the particles of the material are packed together. As a result, temperature and pressure can greatly affect the volume of a substance, especially gases. As with mass, increasing and decreasing the amount of material also increases and decreases the volume of the substance. Density is calculated by dividing the mass by the volume (density = mass/volume). For example, 10 grams of freshwater has a volume of 10 milliliters. This results in a density of one gram per milliliter (10 g ÷ 10 mL = 1 g/mL). Unlike mass and volume, increasing the amount of material measured does not increase or decrease density. In other words, increasing the amount of freshwater from 10 grams to 100 grams will also change the volume from 10 milliliters to 100 milliliters but the density remains 1 gram per milliliter (100 g ÷ 100 mL = 1 g/mL). This makes density a useful property in identifying many substances. However, since volume deviates with changes in temperature and pressure, density can also change with temperature and pressure. One derivative measurement of density is specific gravity. Specific gravity compares the density of a substance with the density of a reference material. In the case of gases, the reference material is standard dry air, or air without water. 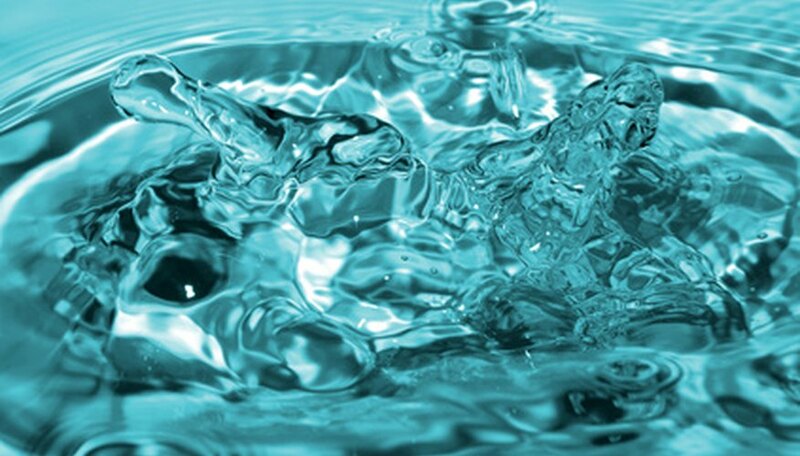 In the case of liquids and solids, the reference material is fresh water. Specific gravity is calculated by dividing the density of a substance by the reference substance's density. For example, gold has a density of 19.3 grams per cubic centimeter (remember cubic centimeter equals milliliter). This yields a specific gravity of 19.3 (19.3 g/cm3 ÷ 1.0 g/cm3 = 19.3. This means gold is 19.3 times denser than water. Whether an object floats or sinks is determined by the downward force of gravity and an upward buoyant force. If the buoyant force is greater, an object floats. If the force of gravity is greater an object sinks. The interplay between these forces is related to the density of the object and the density of the fluid it is placed in. If the overall density of the object is greater than the liquid, the object sinks. If the overall density of the object is less than the liquid then the object floats. Note that this is an overall density. Steel is much denser than water but shaped appropriately, the density may be reduced (by adding air spaces), creating a steel ship that floats. Likewise a life jacket reduces the overall density of the person wearing it, enabling him to float much easier. Chandler, David. "How Are Density, Mass & Volume Related?" Sciencing, https://sciencing.com/density-mass-volume-related-6399069.html. 24 April 2017.